Next week Thursday night is this year’s Rose Park Discovery Night! I love introducing new parents to Holland Christian Schools. But, I can’t do it alone! Please, tell your stories! Invite and accompany someone to Discovery Night this coming Thursday evening, or anytime into the building. And, please, guide anyone you desire to my office at Rose Park where I would love to listen to their story and introduce them to Holland Christian Schools, and the special experience of Rose Park Christian School. Monday, as you know, is also a very special day for us as we commemorate and celebrate the contributions of Dr. Martin Luther King to our world, our culture, and our lives. The work is far from over, but Dr. King’s life and words still ring today highlighting and echoing the biblical prophets’ message of justice, equality, and the recognition of God’s image in all, ushering in the experience of God’s Kingdom more and more for more and more until the fullness of his Kingdom comes with Christ’s return. May we be inspired, encouraged, and equipped to continue this vital work at Holland Christian and beyond. Just a reminder, we will not have school on Monday, January 21 due to Martin Luther King Jr Day. DISCOVERY NIGHTS FOR PROSPECTIVE PARENTS – Invite your family and friends! You are invited to learn more about Holland Christian School’s programs at our Discovery Nights! 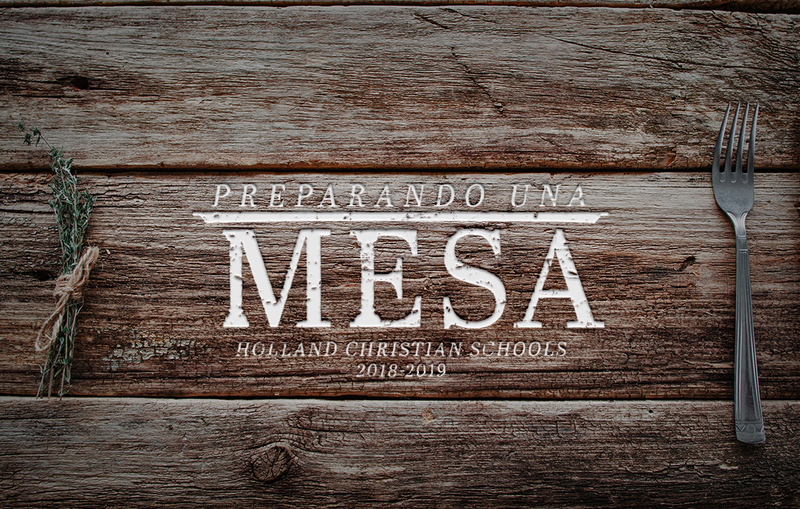 Meet our teachers, tour the classrooms, and get a feel for the school that will launch your child on a tremendous trajectory towards a world-transforming life for Jesus Christ. No RSVP necessary. ROSE PARK PRESCHOOL & KINDERGARTEN DISCOVERY NIGHT – JANUARY 24, 6 PM, ROSE PARK ELEMENTARY (556 BUTTERNUT DRIVE) Information will be shared about Rose Park’s traditional and Spanish Immersion programs at this event. Childcare provided. Registration is open for After school Community Enrichment classes! HC Spirit Fridays GO HC! Every Friday in January we will celebrate our school spirit! Wear your Maroon and White gear! As a Christian community, Parent Board would love staff, students, and parents to help us show our true school spirit in “giving back” to some great local organizations. Bring in these items that are so desperately needed. Look for the boxes in the intersection to place your donations. *Jan 25—We will be collecting deodorant & body soap for the Holland Rescue Mission. Our ski club dates for this year are January 25, February 8, February 22 and March 1. 3rd, 4th and 5th graders have the opportunity to join the dance during Tulip Time! There will be an informational meeting at the Tulip Time Office on Thursday, January 17 at 6:30PM. HC has a group practicing at Pine Ridge at 3:45PM on Mondays. Kim Hekman is the coach. Please feel free to contact her at dutchdancekim@gmail.com with any questions. There is a new Dutch dance program for middle schoolers, including 6th graders! An informational meeting is scheduled for January 17 at 6:30PM at the Tulip Time Office. HC will have a group practicing at Pine Ridge at 4:45PM on Mondays. Kim Hekman (HC parent) will be coaching the group. Please feel free to contact her at dutchdancekim@gmail.com with any questions.